Colorado Brewery List – Find Every Colorado Brewery. Discover Every Colorado Beer. At Colorado Brewery List, explore the wide variety of breweries Colorado has to offer. Use our interactive map to view what breweries are in your area, or scroll through our detailed list to see other sites from across the state. Our brewery search lets you filter and sort the breweries by a number of options, including tour options, merchandising, food and more. We’re thrilled to help you, the beer enthusiast, discover what’s new and exciting in Colorado and Denver – dubbed the “Napa Valley of Beers.” With nearly 100 new breweries set to open in the near future across the state, we couldn’t think of a better time to be a craft beer fan. 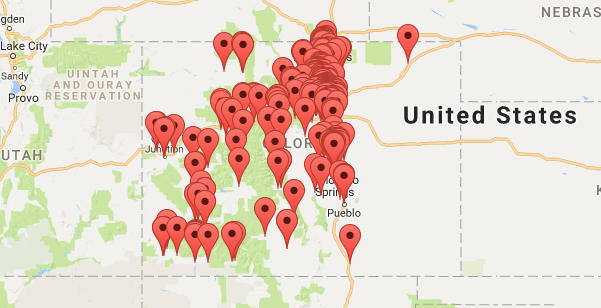 So be sure to visit the Colorado Brewery List often, then get out there and visit some of the state’s 300+ breweries.